Providing rural property owners with the necessary information to make informed decisions when developing, and managing their land. Serving the Pacific Northwest since 1987. 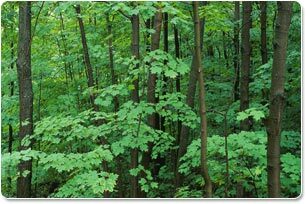 Greenbelt Consulting is an environmental assessment and consulting service designed to help property owners make informed decisions concerning their land. Landowners can minimize the degradation inherent in land clearing, road grading, and homesite construction by becoming more knowledgeable about the natural landscape of their property. Development and long-term maintenance costs can be reduced, and property value increased through coordinated planning and careful consideration of homesite, solar potential, septic systems, and access. Through assessment of your land's topography and existing natural elements, Greenbelt Consulting can suggest practical ways to maintain ecological integrity while blending comfort, safety, and utility. The wooded and pastoral nature of the Pacific Northwest landscape is rapidly changing due to the influx of people. The very peace and beauty that has attracted people is in danger of disappearing as a result.